Born on June 18, 1938, at Narwana (Haryana), died 25 January 2019 (Chandigarh), M. Sc. (Physics Honours School) 1962, First division and 2nd position in the Merit list, awarded Ph.D. (Theoretical Nuclear Physics) in 1967 by Panjab University, Chandigarh. 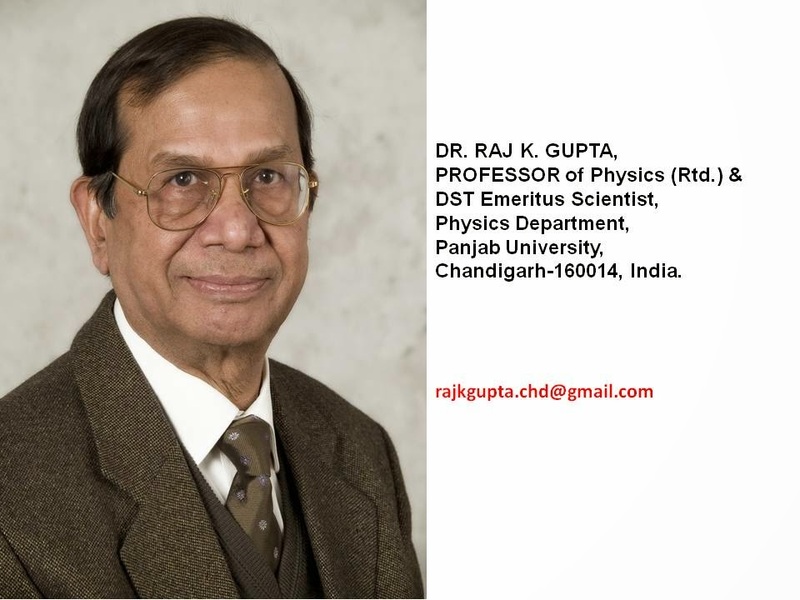 He worked as Professor of Physics, superannuated in 1998, then DST Ramanna Fellow, and now DST Emeritus Scientist since July 2009, Department of Physics, Panjab University, Chandigarh. Starting his career as Sr. Scientific Asstt. in an Atomic Energy Research Scheme at Panjab University during 1962-65, he was awarded Post-doctoral Fellowship of National Research Council of Canada 1965-69, joined Physics Department, Panjab University, as Pool Officer (CSIR), Lecturer in 1970, Reader in Physics at Viswa Bharti, Santiniketan, 1977-78, and UGC National Fellow 1993-95. He received Hari Om Research Endowment Prize and Gold Medal for 1984-85 in Nuclear Physics. Internationally, a UNESCO/ IAEA Fellow and Associate Member of International Centre for Theoretical Physics, Trieste, Italy, for 12 years (1981-93), Senior Fellow of Alexander von Humboldt (AvH) Foundation, West Germany (1973-75); Guest Professorship of German Research Society (DFG) 1990-91, and DFG Mercator Guest Professorship (2005-06) at Frankfurt University. Also Guest Professorship of WE-Heraeus Foundation, Germany, Visiting Fellow (an Honorary title for a Visiting Professor), Department of Chemistry, The University, Newcastle upon Tyne, U.K; and SUBATECH, Ecole des Mines, Nantes, France. He is a recognized Ph.D. guide, produced 30 Ph.D. degrees, two are on-going and supervised 9 M.Phil. students. He has published 225 research papers in International Research Journals, contributed 195 papers in International and 200 in National Conferences, and over 60 Review Articles/ Talks. In addition, one text and two research-level books are published by the National and International publishing houses. In total 22 Research Projects are completed, including ones funded by VW-Foundation and DFG, Germany. One DST Research Project is in operation. He is Founder Vice-President and the President AvH Academy/ Club, Chandigarh. Recently, appointed Editorial Manager for a German Research Journal “Naturwissenschaften”; doing Book Reviews, Guest Editorials, and is presented Life Time Achievement Award by Organizing Committee of International Nuclear Physics Conference in 2012.